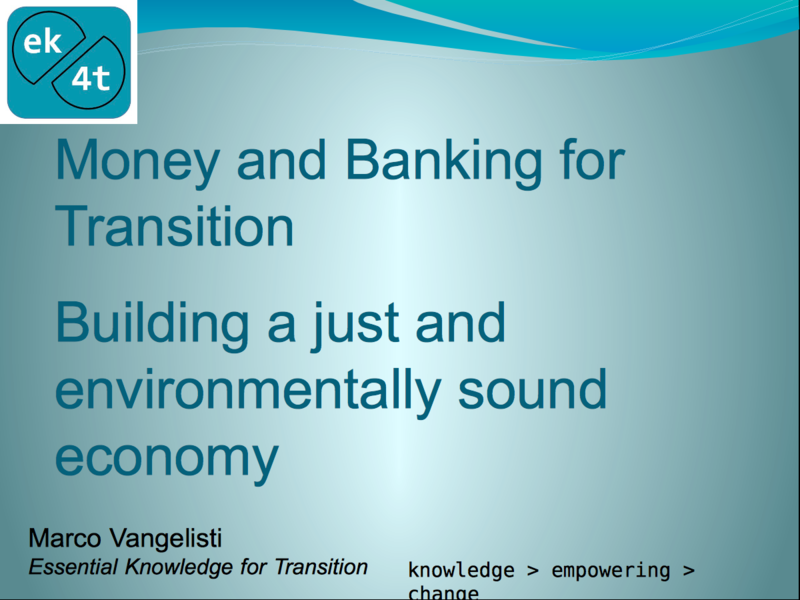 Only a fundamental shift in the design of the monetary and banking system will allow for a viable way of addressing increasing inequality, the mounting problem of public and private debt and make possible a shift towards a sustainable steady-state economy that works for everybody and is compatible with environmental stewardship. The first step is to overcome the common misconceptions about money and banking and to develop an accurate understanding of how the system actually works. The second step is to look at systemic alternatives to the current dysfunctional money and banking system. What is money and how it evolved historically? Who benefits and who bears the risk? Who controls the quantity of money? What incentives drive money creation? How were the banks bailed out in the US, how are they being bailed out currently and how will they be bailed out at the next crisis? What type of monetary reform we need? How does the public banking movement represent a systemic bottom up solution? About the presenter: Marco Vangelisti left the finance industry in 2009 after a decade of professional engagement. He is a founding member of Slow Money and has been instrumental in the formation and development of the Slow Money Northern California. Marco is also a founding member of the Public Banking Institute. 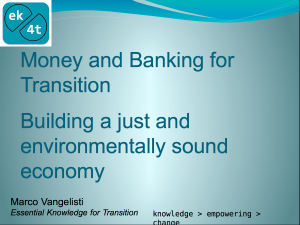 Marco has created the Essential Knowledge for Transition curriculum for engaged citizens and activists to understand how the money and banking, economic and financial systems work and how they need to be transformed to bring about a socially just and environmentally sustainable society.